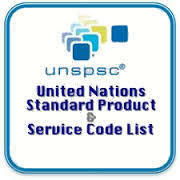 Savvy’s Master Data Management solution includes product categorization and taxonomy classification as per global schemas like UNSCSP (United Nations Standard Products and Services Code) enables clients to find core answers of spend analysis. Menigma assign Noun/Modifiers and commodity codes based on standard dictionaries or customer specific codes. to all the requested data security issues of industry classifications like ISO and also to the governmental legislated data storage demand. Grihasoft provides Data Classification Services to classify transactions or master data-related products and services to well-known global standards such as UNSPSC, eCl@ss, NAICS, MESC, NIGP, SMD or a proprietary schema. A crucial part of effective catalog content creation is Data Classification. At Opel Consulting, industry domain experts provide robust domain-specific classification taxonomies which requires specialized expertise and talent. Bureau Veritas India Pvt Ltd.
1). The FTTH: Also called the fibre to the home network solution. Here the optical fibre terminates at the home of the client. This allows him to experience unmatched data connectivity and speed. In terms of speed and reliability, the FTTH is the most efficient and fastest solution. Every day your business creates more and more data. Data gets saved, employees move on, data is forgotten and lost. Valuable information sits on your file servers and document stores, not protected and unrecoverable because no one knows where to find it. The aim of classification is to protect life, the environment and marine assets, including ships and offshore units. Bureau Veritas is recognized as one of the leading classification societies. We also offer Customs Classification services for governments. Data classification is the categorization of data or categorizing of items in a logical and hierarchical order for its most effective and efficient use. This is the must exercise for every company to strengthen the roots of data as it plays the vital role of data protection throughout its lifetime. We provide classification services to classify the products and services to well known standard schema such as UNSPC & ECCMA. Because of the data explosion many enterprises are in a fixed position to discover and protect their information. The budgets of a company are overloaded and they struggle to maintain the escalating costs with the level of service expected from their clients.